The award-winning musical, Miss Saigon has just begun at the Hippodrome for an impressive nine-week run and we were lucky enough to be invited along to get a preview of the show to see what all the hype was about. The musical follows the story of 17-year old Kim who is forced to work in a Saigon bar run by a notorious character known as the Engineer. There she meets and falls in love with an American GI named Chris but they are torn apart by the fall of Saigon leading Kim to venture on an epic journey of survival to find the love of her life. 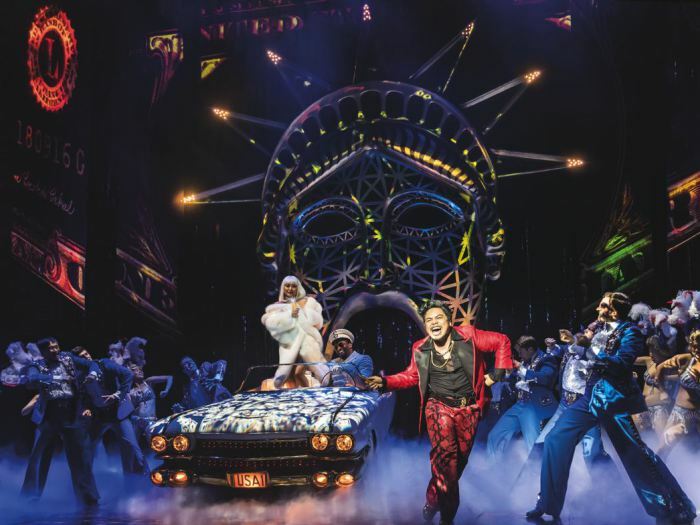 Bearing in mind that Miss Saigon first hit the stage in 1989, we can’t understand why it took us so long to see the show, but we certainly put that right at The Birmingham Hippodrome last night! We had everything you could wish for in a show, a huge and talented cast, performing memorable musical numbers, ‘The American Dream’ being a real favourite. Awesome special effects, including the much talked about helicopter and stunning performances by Sooha Kim as Kim and Red Conception as the funny and flamboyant Engineer made our evening complete. And all of this set in our magnificent Hippodrome, which Birmingham are very lucky to have – what more could we ask for? A story of love, separation and struggle, it’s emotive, powerful and thought provoking, prompting a well-deserved standing ovation and an experience to last long after this ‘must see’ show. Click here to get your tickets to the hottest show of the year!